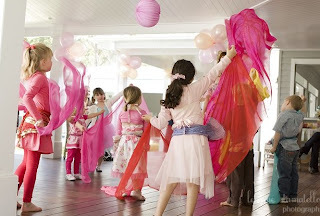 The uber-talented Australian Sharnel is at it again with an amazing party for her daughter Olivia's 5th birthday. Check out that cake! I'm hoping she'll give us more details soon (who did that amazing cake topper? 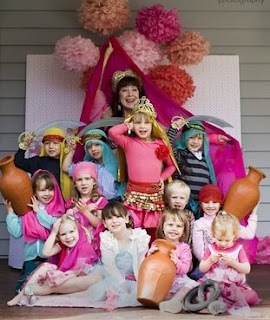 was this a 'genie' theme party or bellydancing?). She names Amy Atlas as her inspiration for the table setup- love it! In the meantime, feast your eyes on all of these great images, taken by photographer Leanne Stamatellos. LOVE this party! 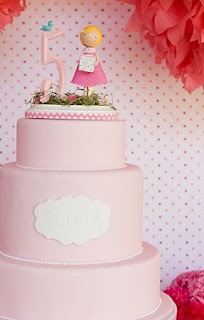 I am mostly enamored with that cake topper though.. I agree about the cake topper! We have to know where it came from! Before you even mentioned the cake topper I was drooling!! Super cute! Hope she shares more...let us know!! 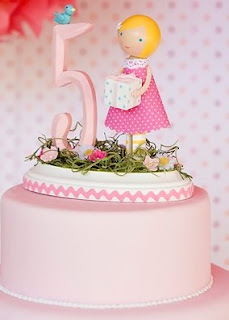 I purchased the topper from Lollipop Workshop http://www.etsy.com/shop.php?user_id=5174676. Jen does a beautiful job. The topper was perfect. I plan to put it under a small glass dome in Olivia's room as a keepsake of her 5th birthday. So pretty, and lovely tonalities in the color - well done. wow, I wouldn't mind having this party for me! This is a fabulous party! 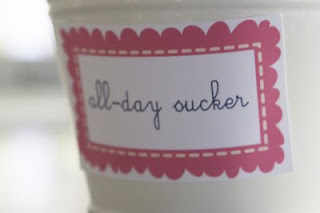 hadn't thought about using a cake topper for an event other than a wedding! LOVE IT! Really adorable! What is it with all of these amazing Australian parties?? Oh, that dessert table is simply fantastic. Even fancier than my wedding. Aussies are incredible! We're so resourceful and creative. 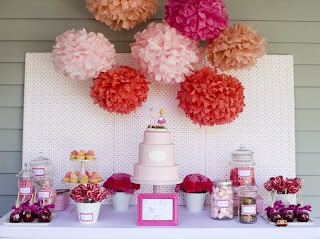 Sharnel is another great creative force in Australia in regards to cakes and parties! 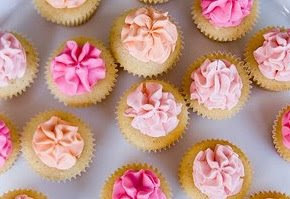 You'll have to visit www.australiaentertains.com.au or www.pinkfrosting.com.au for more inspiration! It's so exciting to see some of my photos on your blog. It was a great party to photograph.